Warm skin tones vs. cool skin tones vs. neutral skin tones. We see these descriptions everywhere in the beauty and fashion industry, but what do they actually mean? Today we’re going to dive into that very question and help you decipher whether you have a warm or cool skin tone. 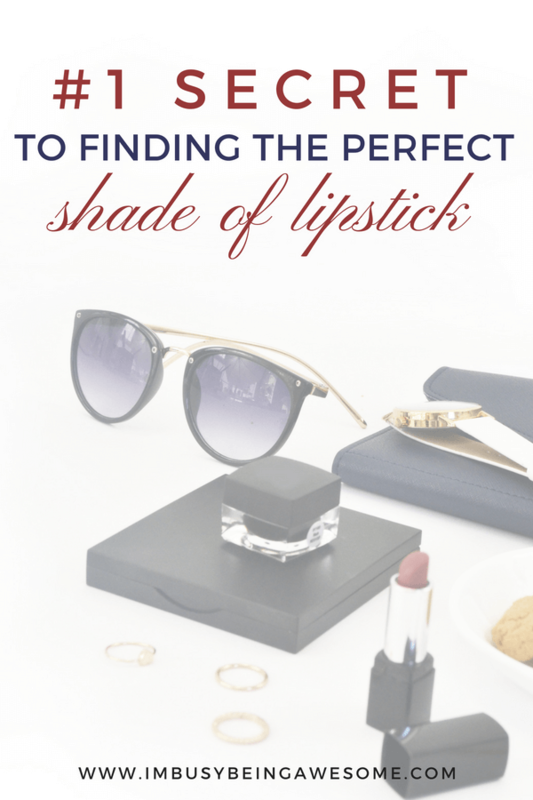 Once you know this, you’ll be able to find the perfect shade of lipstick or eyeshadow with ease. There are a few different ways to talk about skin tone. The first refers to the surface color of your skin, and this is often categorized into four different groups: fair, light, medium, or dark. The other approach, often categorized as undertone, can feel a bit more mysterious. What does undertone even mean anyway? Undertone is the subtle hue that creates the unique tint of your skin. If you have a cool skin tone, your skin has more of a bluish-pink hue to it, while a warm undertone is more of a peachy-yellow. Why is knowing your skin tone important? Have you ever put on a particular shade of lipstick that makes you feel incredible? Your eyes shine, your skin glows, and you feel like a million bucks. Chances are, that first lipstick was one that complimented your skin tone, while the latter did not. Knowing your skin’s undertone helps you to choose colors that flatter your skin, in turn, making you both look and feel great. 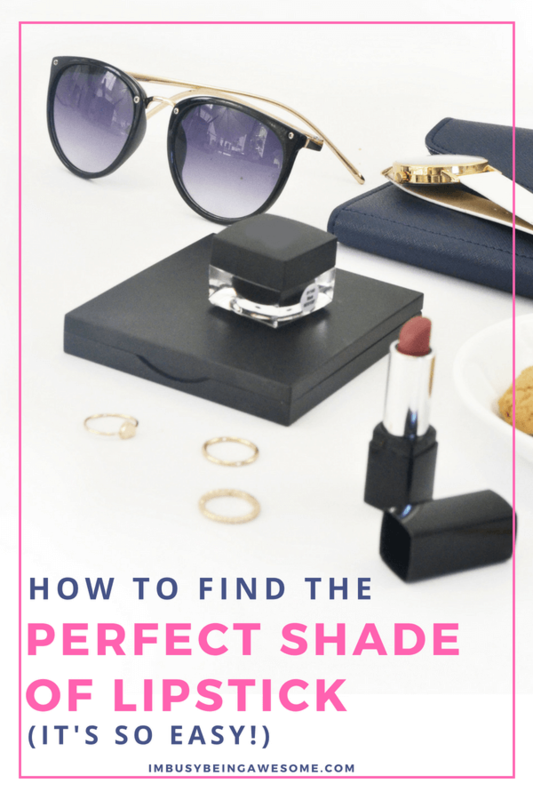 So whether you’re searching for a new outfit or the perfect color of lipstick, knowing your undertone is the key to quickly finding that perfect shade. Do I have a warm or cool undertone? 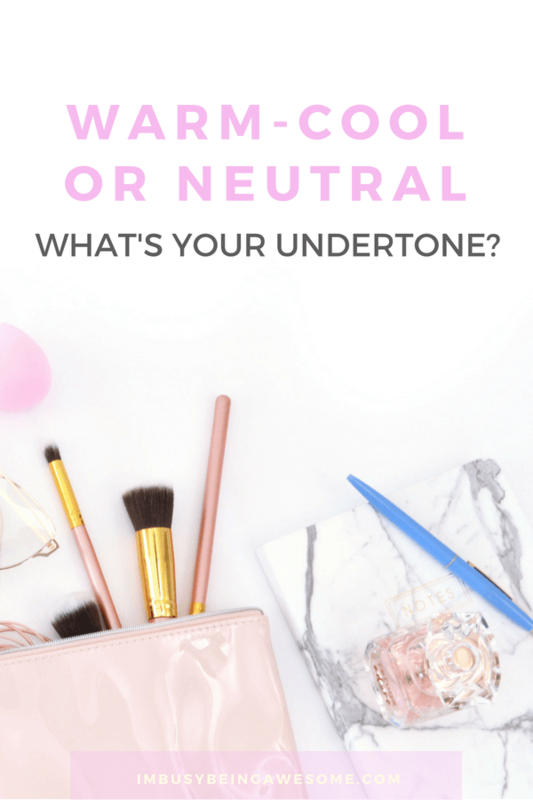 So you know what undertone means, now let’s figure out if you’re cool, warm, or neutral! Don’t worry, it’s super easy. Turn over your wrist and look at the veins in your arm. Are they bluish purple? Then you have cool undertones. Are they greenish yellow? Then you have warm undertones. Not sure? You may have neutral undertones; check the next method. Think about the outfit that makes you feel incredible. If that outfit is in the navy, black, white, or gray color family, you’re probably cool toned. If it is beige, cream, or brown, you’re probably warm-toned. Think about your jewelry. Do you have more silver or gold in your collection? Often, silver looks great on cool tones, while gold is vibrant on warm tones; we’re usually drawn to what looks best on our skin. Can you wear both? You may be a lucky neutral. 1. Your undertone is the subtle hue that tints your skin’s color. Most people have either cool undertones (blueish pink) or warm undertones (peachy yellow). Some lucky people are neutral. 2. When you know your skin’s undertone, you have a much easier time identifying clothing and makeup that makes you feel great. There you have it, friends! Knowing whether you have a warm or cool skin tone is as simple as that 🙂 Are you looking for more great quick-and-easy beauty tips? 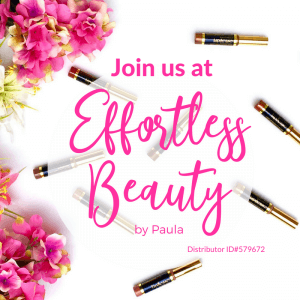 Then be sure to join my facebook group, Effortless Beauty by Paula, here! Are you a warm or cool skin tone? What is your favorite color to wear? What shade of lipstick makes you feel like a million bucks? Let me know below! This is so very helpful in figuring out your skin tone and the right products. I have needed to do this for a while. I believe I am warm! It’s hard to tell what color my veins are. I do prefer the cool tone clothing, though. I feel like it’s hard for me to tell by looking at my skin, but when I reflect on which colors of clothes and lipsticks look best, it becomes a bit easier. I love wearing red, orange, olive green, and yellow, so I’m pretty sure that I have warm undertones. It sounds like you’re right, Melissa! Love it! I think I may be neutral? I have blue veins, prefer gold jewelry, and wear all shades of clothes haha. As for lipstick colors, I wear all kinds, I have favorites in the cool-based and the warm, hah! Yep! I think you’re a lucky neutral who can wear anything, Rebecca! Great info! I always thought I was warm, but a lot of the quizzes left me with cool, I never knew I could be neutral! It sounds like you’re one of the lucky ones who can wear both! My skin ton is definitely neutral, but I’m super pale which makes it hard to find makeup that doesn’t make me look to rosy. I definitely prefer gold tones to silver, but I like to sample from both warm and cool toned clothing. Except pink! It’s my favorite color, but I don’t look great in it so I just admire it from afar! I have never been able to figure it out. I tried your methods but my favorite outfit changes quite often and I used to wear gold but now I wear silver. It sounds like you might be a neutral, then 🙂 You’re a lucky one who looks great in everything! Thank you for all this amazing info! This is so helpful, I have always thought I was cool tone, but from this I think I am warm!